Mr. Ramirez has over 30 years of experience in a variety of electrical engineering disciplines during his time working for Hughes Aircraft Co, TRW Space Technologies, Optimal Energy Systems Inc and Northrop Corporation. Technical Lead for a “Bed of Nails” system at Hughes Aircraft; Developed Combat Vehicle Electronics software to minimize assembly line errors. Technical manager for $20M+ Satellite Test Bed leading a team of 9 engineers developing and integrating the required simulation software and hardware. Extensive Cost and Schedule Management responsibility in various projects. Developed several software tools that improved efficiencies in various engineering processes. These tools have been utilized for several years and are still being used today. Have experience with schematic troubleshooting, familiar with several test instrumentation, harness designing. Have experience with integration of various hardware interfaces, including 1553B, RS-422 and fire-wire. Developed software using Basic, Visual Basic, C, C++ among others. Current engineering responsibilities includes supporting the troubleshooting of damaged EDR “black box” electrical circuits, support proposals and project management tasks. 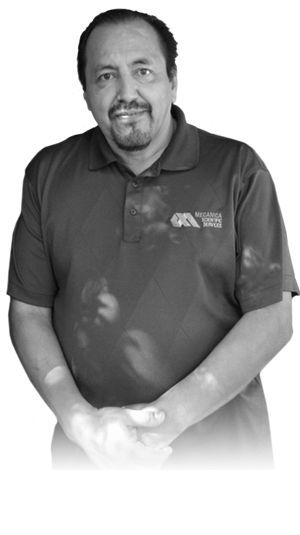 Mr. Ramirez will utilize his extensive aerospace experience and disciplines to seek out where his expertise can best be utilized to support Mecanica’s goals for continuous improvements. At Mr. Ramirez leisure time, he enjoys reading new evolving technology articles and believes in continuous learning.